​35 students, all ages. Not eligible for competition. Work closely with the STS Guest Faculty - Brian Hecht, Jim Nova, and Denson Paul Pollard - in master classes and ensemble settings culminating in performances at the end of the Symposium. 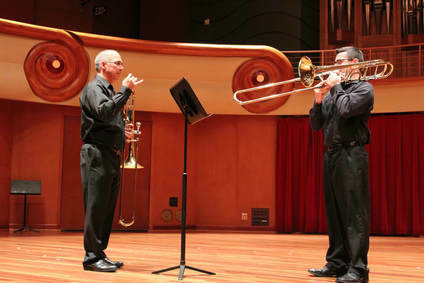 Selected participants will also be invited to perform with the faculty in an orchestral section excerpts class.